advertising on TV or globally? Want to do advertising on TV or globally? It’s easy, because we are here to help you! To advertise your organization on best TV Channels. The Unicom advertising agency which provides 360-degree Television (TV) Advertising. 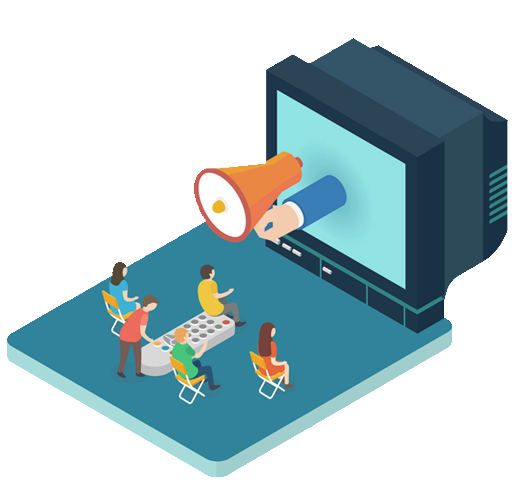 It’s one good way to capture customer attention, more people watching TV at a particular time is to run an ad during the 6 to 11 p.m. TV reaches a much larger audience than local newspapers and radio stations, and it increases business sales and brand awareness, during a short period of time.